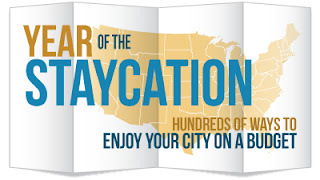 You are here: Home / Little Rock / Staycation Little Rock! 1. 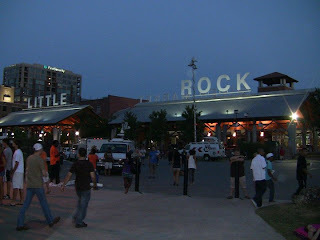 Heifer Village is in downtown Little Rock, Arkansas. It’s global education facility with hands-on and interactive exhibits. Kids learn hunger awareness are are stimulated to get involved. Another cool feature is Heifer is housed in a sustainable and environmentally sensitive building with adjacent welands that support native species. 2. The Big Dam Bridge is the world’s longest pedestrian and bicycle bridge. It’s located over Murray Lock and Dam and ties together 17 miles of scenic river trails in Little Rock and North Little Rock. A walking platform at 90 feet above the navigation channel, is be an amazing spot to catch an invigorating sunrise or sunset over the Arkansas River. It’s my favorite place in Little Rock to take a stroll! 3. My teens really enjoyed The Arkansas Arts Center in MacArthur Park near the River Market District at 9th and Commerce streets. The 42,000 square-foot museum includes a world-renowned art collection. The museum is free to the public. Open 10 a.m. to 5 p.m. Tuesday through Saturday and from 11 a.m. to 5 p.m. on Sunday. For more information, call 501-372-4000 or visit www.arkarts.com. 4. Remember the mill with its turning waterwheel in “Gone with the Wind”? You can see The Old Mill in person on Lakeshore Drive & Fairway Avenue in North Little Rock. It’s a great place to bring a picnic lunch! Open from dawn to dusk. For more information, call 501-791-8537. 5. If you look at the Arkansas State Capitol you might want to do a double take. Modeled after the nation’s Capitol in Washington D.C., it’s often featured in movies, filling in for the real thing. Free audio tours available. Open 7 a.m. to 5 p.m. Monday – Friday; 10 a.m. – 3 p.m. weekdays and holidays. The address: One Capitol Mall, Capitol Avenue and Woodlane. 501-682-5080. These are just a few places to get you started … but some of my favorite!